We didn’t realize that Galveston was on an Island. 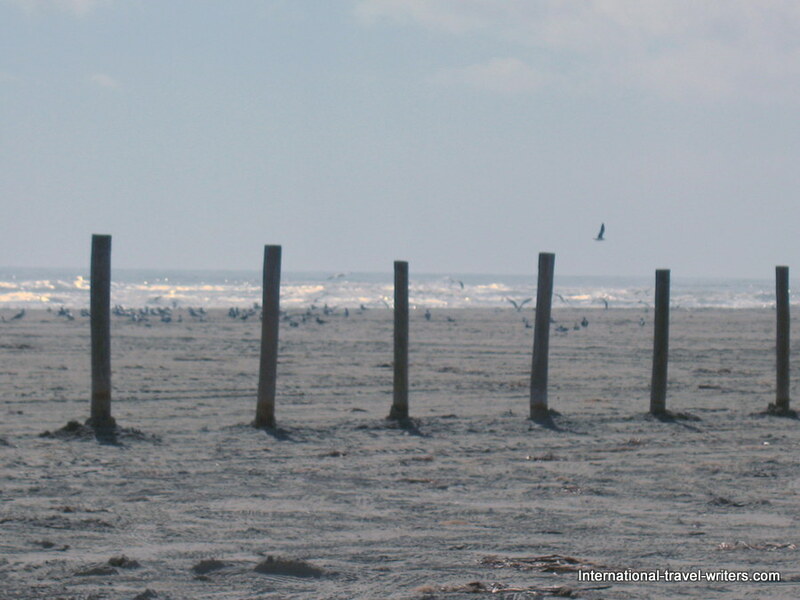 It is a coastal city on an island of the same name, a 46 square mile barrier island in southern Texas. It was to be our disembarkation port for a cruise to the Caribbean. 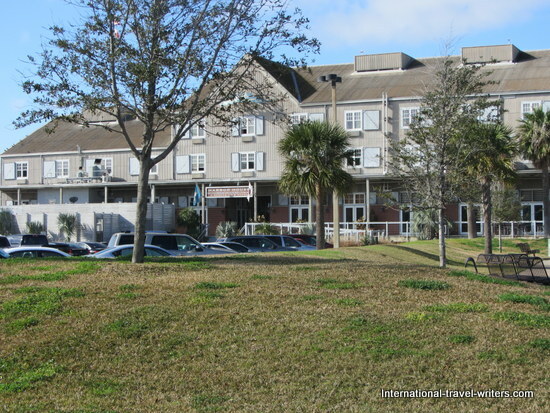 However, our flight landed at the Intercontinental Airport in Houston, Texas so we’d had to arrange transportation to get us from the Houston airport to the port area which is approximately an hour of travel time. Typically, renting a car in Houston and returning it to the island would be an option….but the car rental companies closed Friday at 6 p.m. for the weekend. 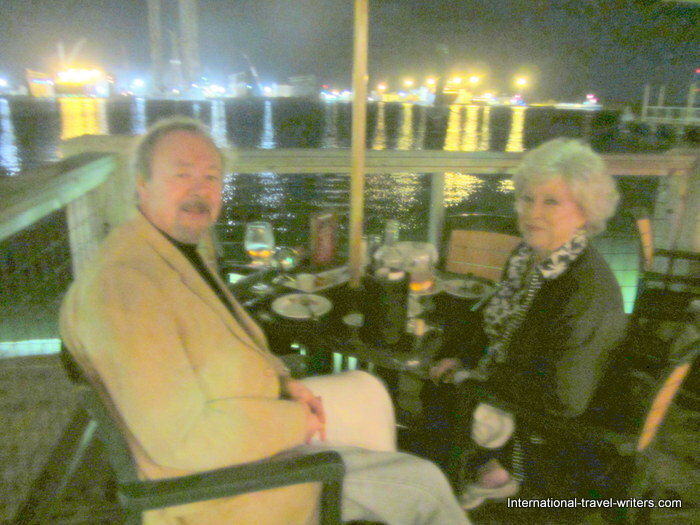 We were arriving on Thursday evening in order to have a couple of days to explore the city prior to our cruise departure on Saturday. There were shuttles that operate from the airport to the harbor port on “sailing days” but we were early. The only open car rental company on Saturday on the island was Enterprise but they wanted a ridiculous fee of over $400 to have a car from Thursday evening to Saturday afternoon if it was returned in Galveston so we decided to get creative. A limo is $125 (plus tip for the driver) and a one day car rental with Enterprise (Friday to Sat.) was $40 plus a cab to the ship after returning the car $10….a better strategy! 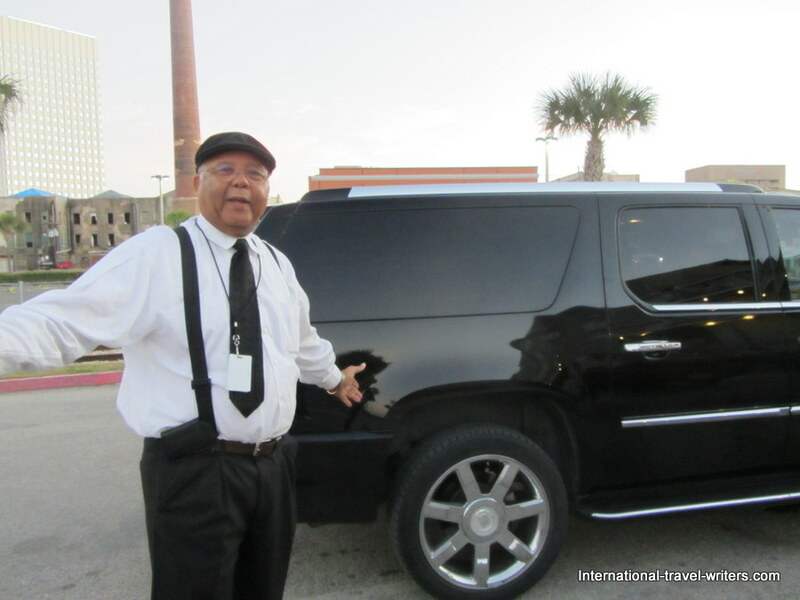 I read some reviews online of companies that offered taxi and limo services from Houston to Galveston and we decided on Blackhorse Limo. It was an intuitive decision. The limo chauffeur, Don Breaux, was waiting for us at the baggage area. He took our luggage and led us to the vehicle. We drove in comfort with Don giving us some history and background on both Houston and Galveston. When we arrived at our historic hotel, Harbor House, we convinced him to take off his jacket so we could get a photo of him looking more casual. We highly recommend using Blackhorse Limo and especially ask for Don, a knowledgeable and friendly man to spend your hour’s drive with. We were staying at the historic Harbor House Hotel which has had extensive renovations over the years but retains it's classic heritage. 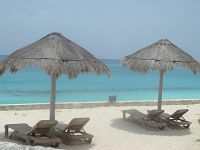 It's a popular spot for those leaving on cruises because it is located less than two blocks from the cruise ship terminal which is convenient for persons deciding not to rent a car. 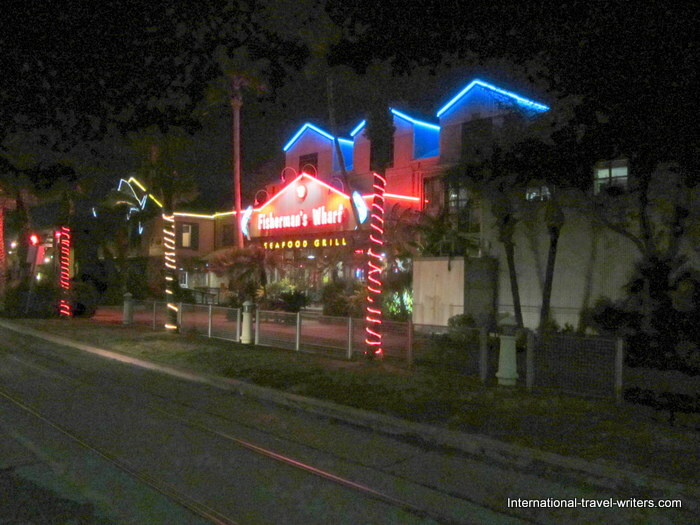 Although the hotel has a restaurant alongside the main structure, there are some fine seafood restaurants within a few minutes walk and we opted to saunter next door to the Fisherman's Wharf restaurant which is a member of the Landry's Select Club. The food was first class and so was the service provided by Andrea. Sitting outside on the deck in nice balmy weather was a pleasant way to gear down after a long day of traveling from Seattle to Houston and then the leg south to Galveston. We relaxed and planned the following day's explorations of the area. Enterprise was picking us up at 11 a.m. and we would have the car for 24 hours prior to heading for our ship. Andrea was our waitress and she offered suggestions of what we should see and gave some insights about the local history. 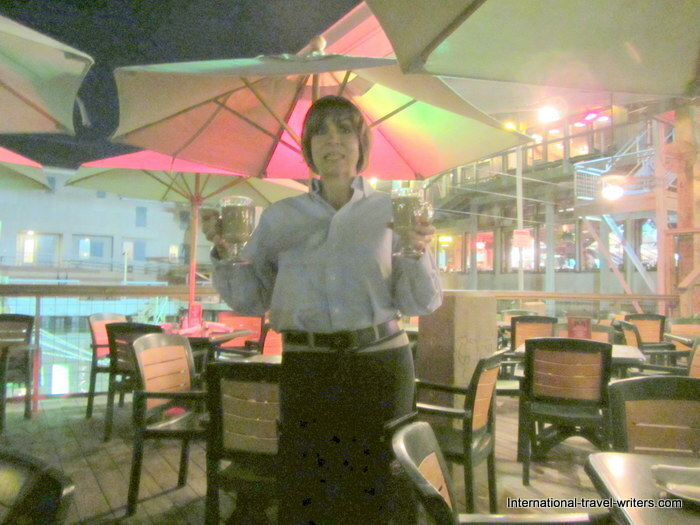 She kept us entertained and kept our wine glasses full....which was very much appreciated. We hoped to sleep like logs. If you are in the area and head for the Fisherman's Wharf restaurant, ask to be in her station so you get not only great service but also delightful banter and informative input. We arose early and wandered outside the hotel which is Pier 21. 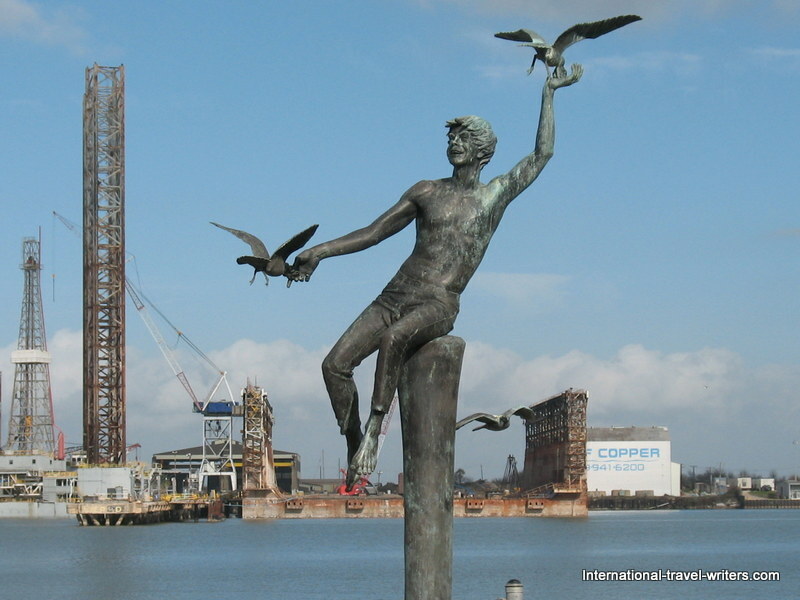 There were some industrial activities lining the waterway but it was clean and punctuated with statues and monuments attesting to a long history of activities. The city has a colorful past that includes being the “kingdom” of the pirate Jean Lafitte. Lafitte and his raiders were forced off the island by the United States Navy in 1821. 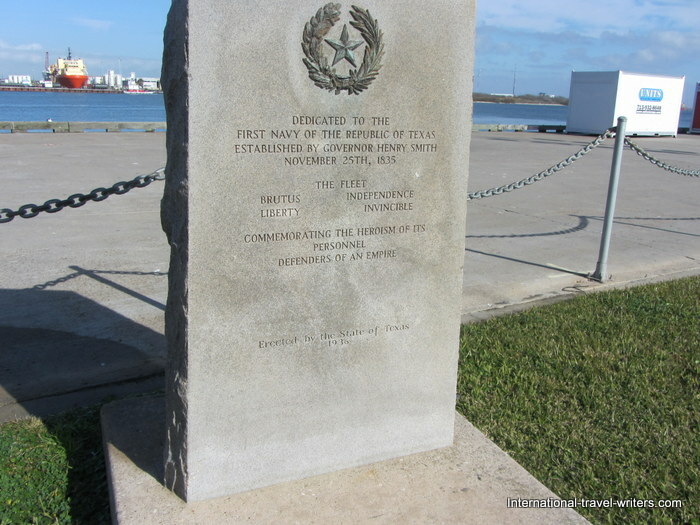 The Port of Galveston was established in 1825 by the Congress of Mexico when it gained independence from Spain but by 1839 the City of Galveston was incorporated by the Congress of the Republic of Texas and supported the Union during the Civil War. In 1900, a devastating hurricane hit the island and thousands on the island were killed. The prominence of Galveston faltered. A major seawall (10 miles long and 17 feet high) now called Seawall Boulevard was constructed to protect the city from floods and hurricane storm surges. In 2008 there was some water damage during a major hurricane but the wall kept back more devastating possibilities. 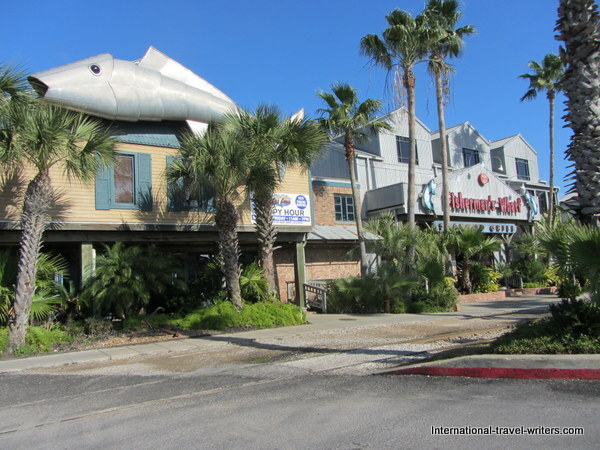 Daytime view of Fisherman's Wharf Restaurant and bar. Note the huge fish sculpture accent along the roof line. You can also see the trolley tracks that lead to the cruise ship terminal. 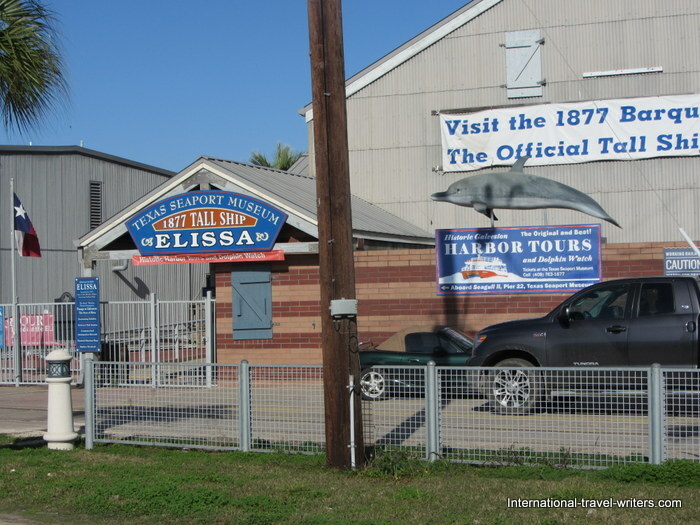 Galveston is home to several historic ships such as the tall ship "Elissa" which is the official Tall Ship of Texas. It is berthed at the Texas Seaport Museum at the Pier 21 area where we were staying. A couple of hours prior to our cruise departure we watched Elissa sailing through the channel as she was being returned to her berth. 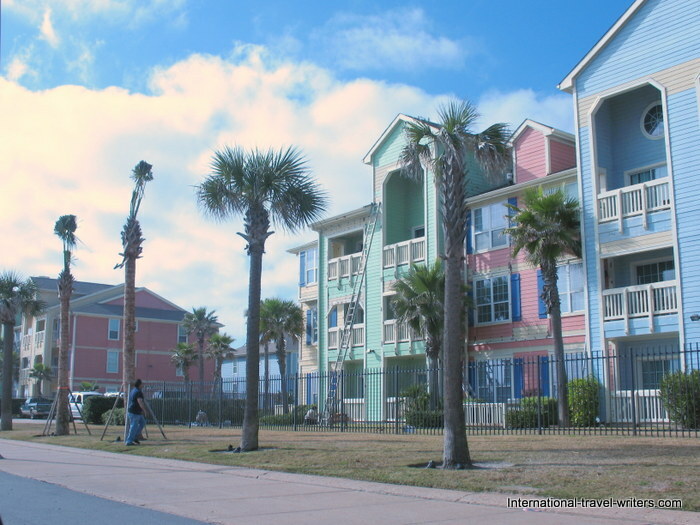 Galveston has six historic districts. The Strand National Historic Landmark District is located close to the city's Wharf. 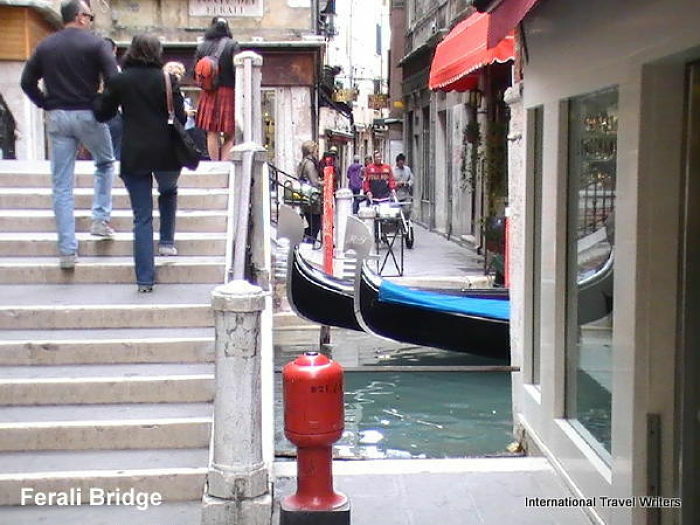 It mainly consists of Victorian era buildings that now house restaurants, antique stores, museums and art galleries. It is considered the island's shopping and entertainment center and it's Grand 1894 Opera House is a restored historic Romanesque Revival style Opera House. It is currently operated as a not-for-profit performing arts theater. The Strand also plays host to a yearly Mardi Gras Festival that was starting on the day our cruise returned to the area (Feb. 2) If we had been aware of the event we may have opted to stay an extra couple of days but we'll have to catch it another year since our flight home was already booked. Another historical area is the Silk Stocking National Historic District. It contains a collection of historic homes constructed from the Civil War through World War II. 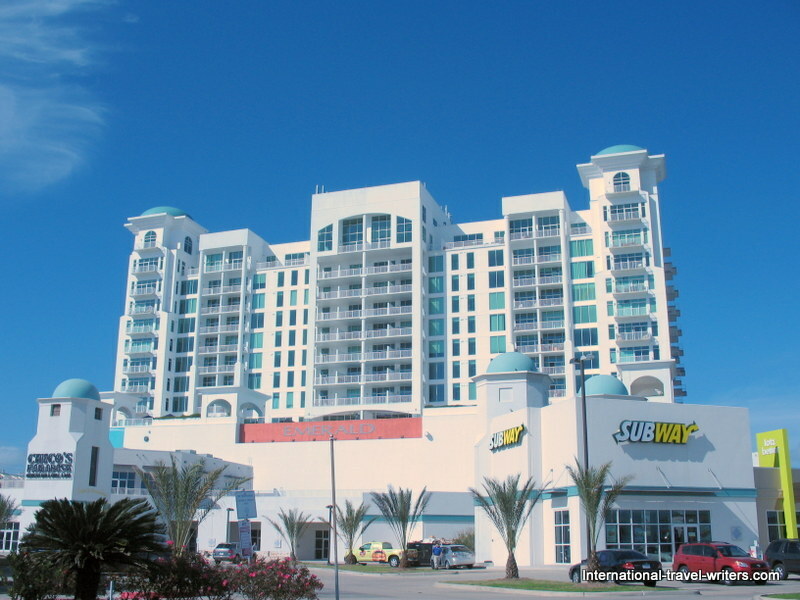 It is located between Broadway and Seawall Boulevard. 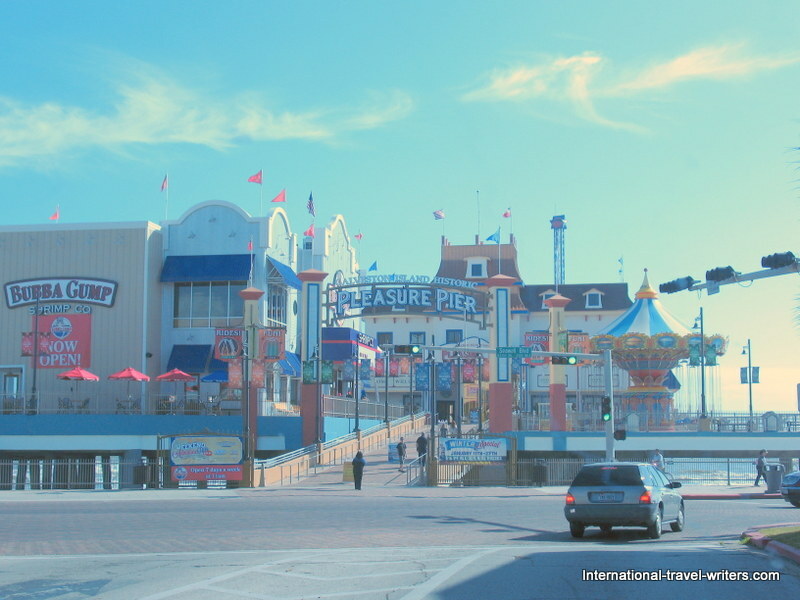 The Galveston Island Historic Pleasure Pier opened in May, 2012. It is an amusement park built on the existing pier that once supported the hurricane damaged Flagship Hotel. It's reminiscent of a miniature Coney Island. Although the city has a very substantial history there are numerous new apartments and condominiums that offer modern housing. Emerald Towers is one of the examples of a newly developed area. Here are several examples of modern apartments overlooking the waterways. 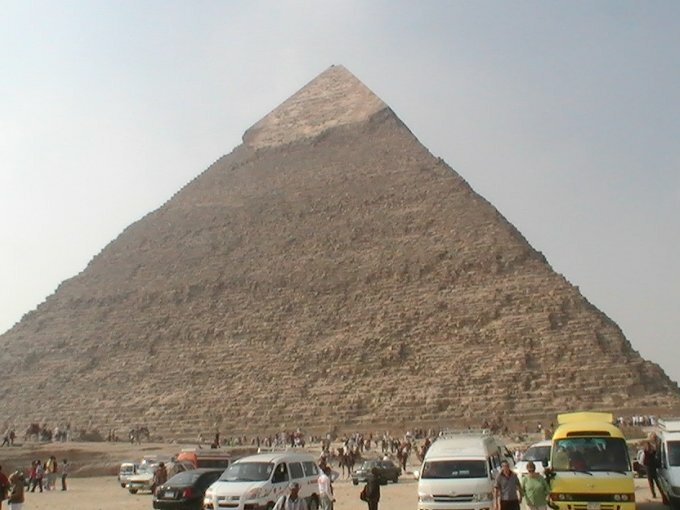 In the center is another typical kind of architecture which is common in the area. 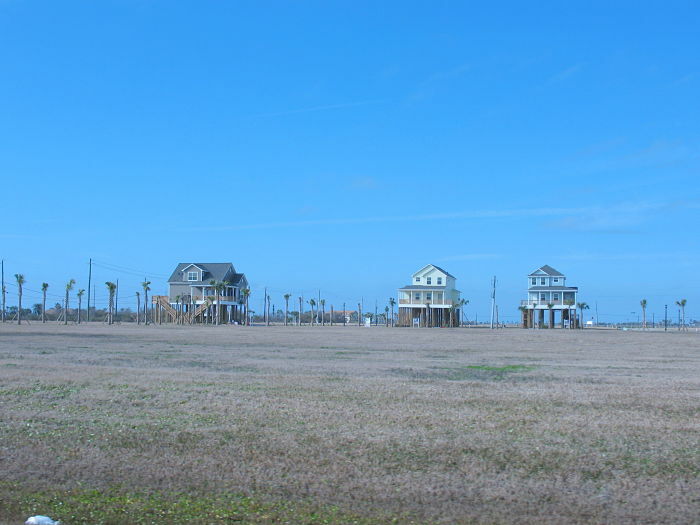 Houses are built on stilts so that the water can flow through and leave the home relatively undamaged during high waters. The first photo is showing brand new construction done in the Victorian style. These homes line the water in a new development and are priced from approx. half a million to a million dollars. The other two photos are more examples of modern apartments with sea views. The homes built on stilts can have nothing beneath but in many instances they have garages or laundry rooms on that lower level that are designed to "breakaway" with flooding. 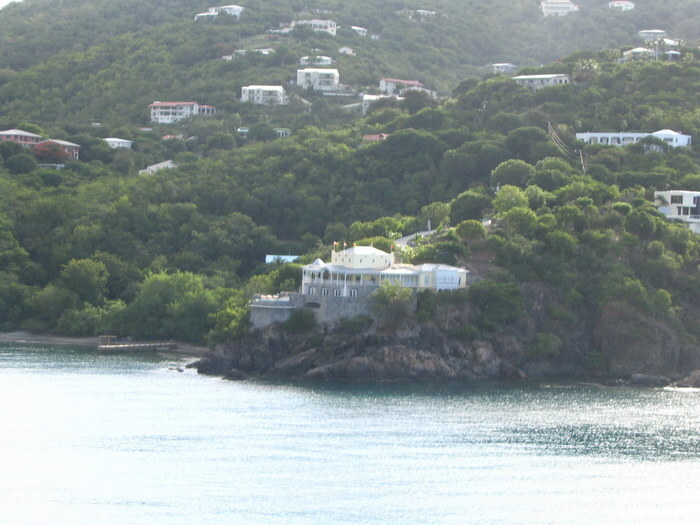 As you drive all over the island this type of home is visible in most areas. 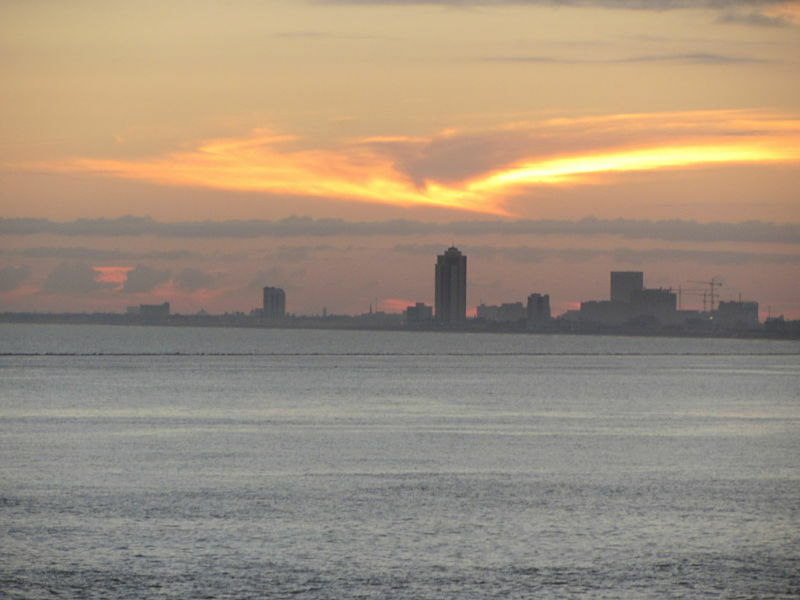 The sunset as we left Galveston aboard our ship was phenomenal. The sunlight sliced through the evening sky providing a halo over the skyline. The city we didn't realize was on an island ended up being architecturally diverse, interesting with the bonus of a great climate, and inhabited by friendly residents. Great place to spend some time so we'll be returning when we feel like escaping our Northwest winter weather.